With the current shoes that has already been unveiled, Jordan Brand looks dead serious to make a bang early next year, creating a lot of excitement for their ever-loyal supporters. 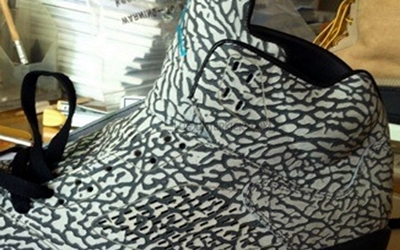 One of the must-watch shoes for early next year is the Air Jordan 5 “Flip Elephant Print” that was previously mistaken as the Doernbecher edition of the 5th installment from the Air Jordan numbered series. The kick is covered with elephant print all throughout the kick with two blue accents on the midsole and tongue branding of the kick. Will it hit expectation early next year? Let’s watch out for it!